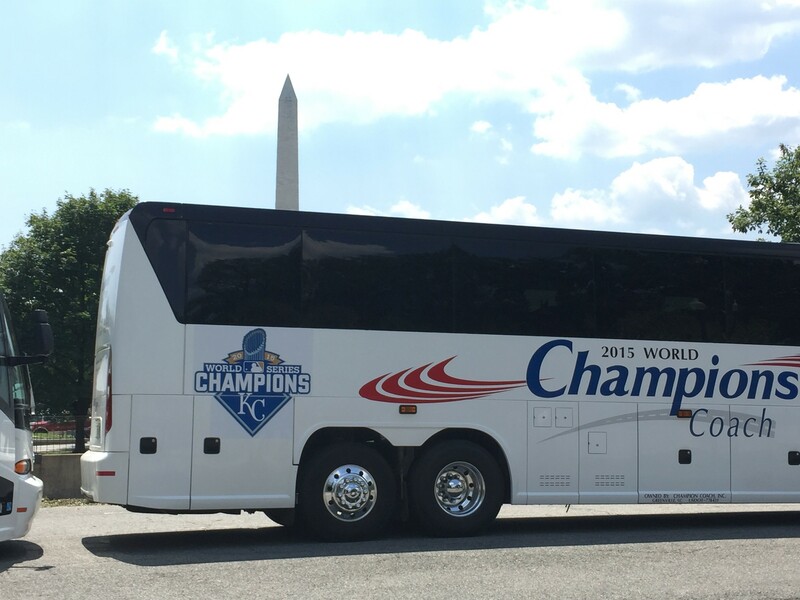 We arrived at our Washington, D.C., hotel on a Wednesday night, ready for a once-in-a-lifetime experience. A visit to the White House rapidly approached, less than 12 hours away. As my wife and I unpacked in the late hours of the night for this quick trip, I was faced with a horrifying reality. I forgot to pack my suit pants. The Royals traveling party embarked for the White House just after 9 a.m. the next day and I did my best to blend in with the World Champs, who wore their best suits. Would anyone notice my late night Walmart pants purchase? No, all eyes focused on the sights featured throughout our country’s most famous residence. 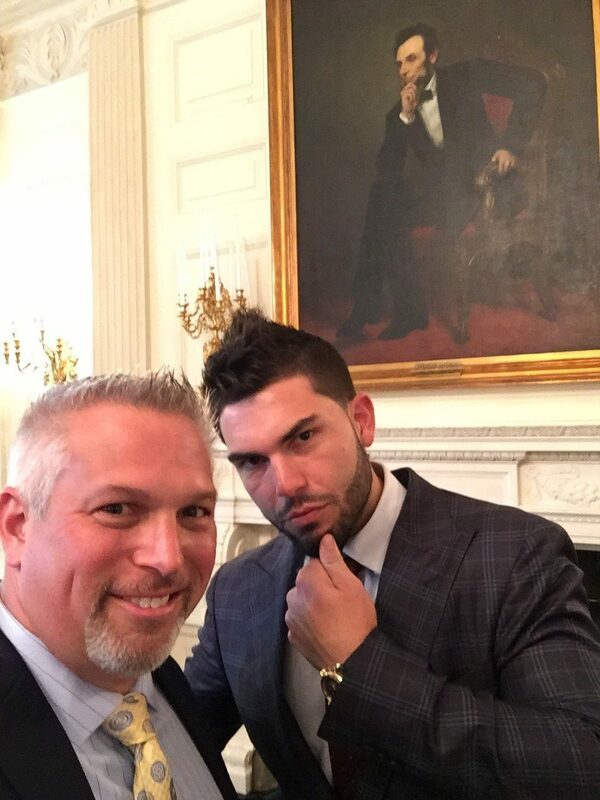 Eric Hosmer and Salvador Perez did their best Abraham Lincoln poses. Players mingled through The Red Room and State Room and looked at dishes used generations ago in the China Room. Surreal might best describe the feeling of sitting in the East Room. I couldn’t help but think about the history and those who spent time in this space. I read that Union soldiers from Kansas used the room during the Civil War. Theodore Roosevelt’s daughter was married there. Seven presidents, including Abraham Lincoln and John F. Kennedy were mourned in the East Room following their deaths. So here we were, with the World Champion Kansas City Royals, waiting for President Barack Obama to walk in, and a chant I had heard thousands of times at Kauffman Stadium erupted. “Let’s Go Royals…” I can’t imagine such sounds greeted President Ronald Reagan and Soviet leader Mikhail Gorbachev when they signed a treaty in 1987, or that Roosevelt’s children thought much about baseball while roller skating in the East Room. Moments later, Obama walked in and said, “Let’s give it up for the World Champion Royals.” Democrats like former Kansas governor Kathleen Sebelius and Republican Senator Bob Dole sat up front and listened as Obama mentioned the names of Alex “Gordo” Gordon, Mike “Moose” Moustakas and Eric “Hoz” Hosmer, while questioning the lack of creativity in the nickname department. Who ever thought the most powerful man in the world would utter Jarrod Dyson’s signature phrase, “That’s what speed do?” What was missing was politics. Just fans and politicians who often disagree with each other on issues, focusing on the Kansas City Royals. White House Press Secretary Josh Earnest, a Kansas City native, spoke to the media about what a needed distraction this event provided from the recent tragedies occurring throughout the world. Sports has a way of taking us away from reality. Earnest’s mom called it a miracle that the Royals won and visited the White House during her son’s tenure. I found myself thinking it was a miracle, after my wardrobe debacle, that I even made it to watch this incredible moment. Price of the roundtrip to Walmart: $9. Price of the pants: $12. A total spent of $21 on a late Wednesday night in the nation’s capital. 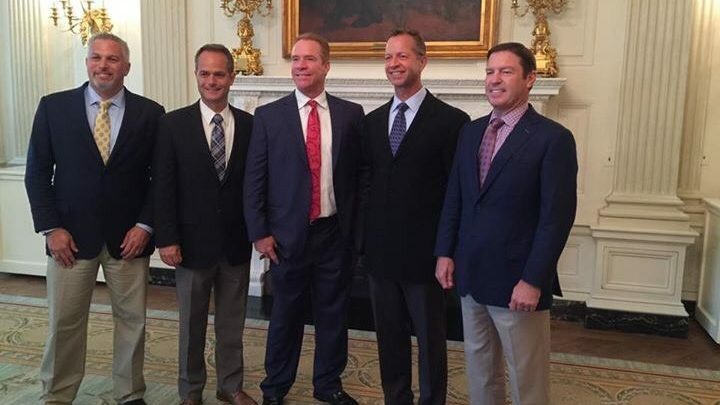 A visit to the White House with the Royals…..Priceless. Tickets For Less is one of the largest sellers in the country of Kansas City Royals, Kansas City Chiefs, Kansas Speedway and Sprint Center tickets. To order, call 877-685-3322 or visit our website. Joined Fox Sports Kansas City in 2008 as the host of the "Royals Live" pre-game and post-game shows and game reporter. Graduate of the University of Wisconsin, began a career in broadcasting in 1994. Won a regional Emmy for sports reporting in 2001.